Charlotte Garrison Service Details - Mount Laurel, New Jersey | Mount Laurel Home for Funerals, Inc.
Charlotte Ann Garrison (nee Avis), 83, of Medford Lakes, New Jersey passed away on Thursday, November 15, 2018, at her son’s home. Mrs. Garrison was predeceased by her beloved spouse, Gregg F. Garrison in 2013. 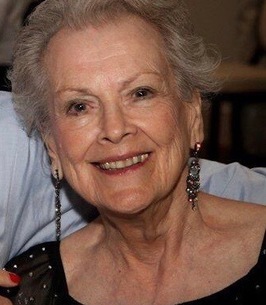 She is survived by her sons, Geoffrey (wife Norma) and David (wife Christy); sisters, Caryl Blakely and Lynn Avis; grandchildren, Kyle, Victoria, Zachery, and Zorrina. The funeral service will be scheduled at a later date.